Imagine a big urban area. What are the first materials and colours you see? Chances are, that those are materials like asphalt or other dark-coloured materials that are used to construct our buildings and streets. These are heat retaining that make our cities hotter – something that we absolutely shouldn’t want in the face of climate change. Now there is a solution that is not only smart, but looks good too. The Coolest White paint, created by Dutch architecture studio UNStudio and Swiss paint manufacturer Monopol Colors, is an extremely reflective white paint protects buildings from excessive solar radiation. This way, it reduces the amount of heat absorption in cities. Lighter colours, in contrast to darker colours, have high total solar reflectance (TSR). This means that it reflects sunlight and reduces the amount of heat absorption. 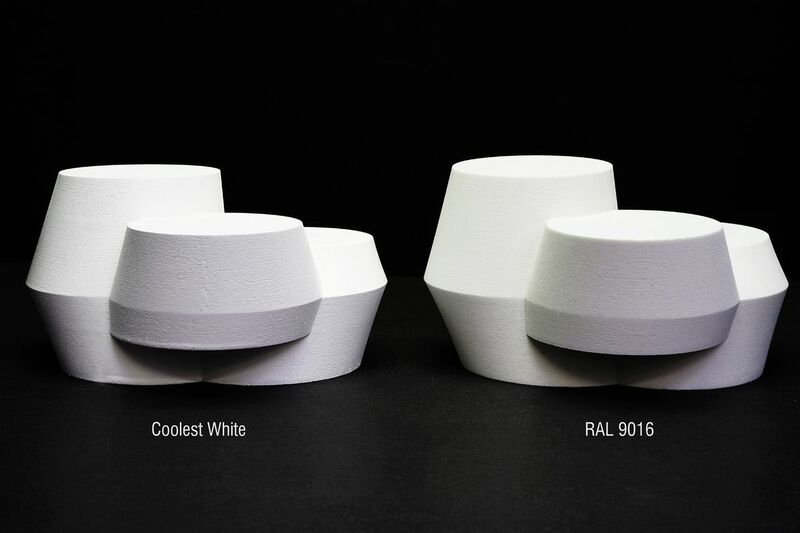 Until now, white paint had a TSR of up to 80% and now UNStudio and Monopol Colors found a way to increase the TSR and reduce the temperature inside and outside of buildings. The paint is based on a fluoropolymer (FEVE) technology that is ultra durable. Cities are currently facing the problems of the Urban Heat Island (UHI) effect. UHI is the effect that makes cities into islands of heat. Due to human activities, urban areas are significantly warmer than rural areas. 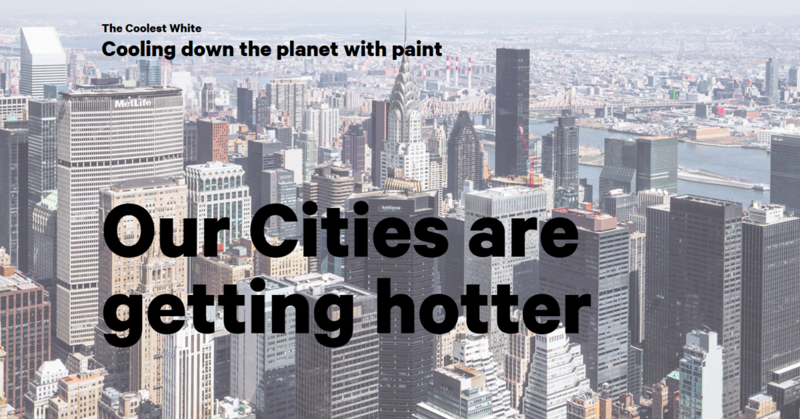 The hotter the city, the higher the demand for air conditioning. The more energy is used for air conditioning, the hotter the city gets. The Coolest White paint could be the key to escaping from that vicious cycle. Now that more than half of the world’s population lives in urban areas and this number is expected to rise to 68 per cent by 2050, we will have to think of how to make these cities liveable – now and in the future. The Coolest White paint is an example of how to adapt to the inevitable. There is no point in denying the UHI and with that, climate change. Could this paint be a crucial part in honouring important climate agreements, like the Paris Agreement. The Coolest White is also an example of humanized technology – It uses technology to create a better world for humanity.